The next upcoming Shavuot starts on sundown of June 8 ending at sundown on Monday June 10th, 2019. Shavuot in Israel with the Hebrew calendar falls on Sivan 6-7 each year, but have a different date each year on the Gregorian calendar. Shavuot is a two day festival. 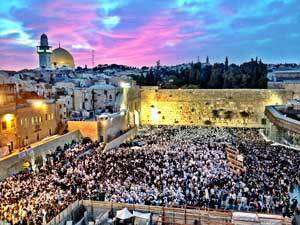 The festival marks the wheat harvest in Israel and commemorates the day God gave the Torah to Israel on Mount Sinai. People will celebrate the day by attending special prayer service all night Torah studying as well as having traditional meals with the consumption of milk and cheese and the requirement of time off from work. Some will decorate their homes and synagogues with greenery. This day celebrates the reveling to the Israelites at Mount Sinai by God to Moses and the Israelites the Five Books of the Torah. The day also marks the wheat harvest in Israel.